What's life without shortcuts? Long and boring that's what. That's why lifehacks are so cool. They are shortcuts that can save you time and money because really everyone could use a little more of both. 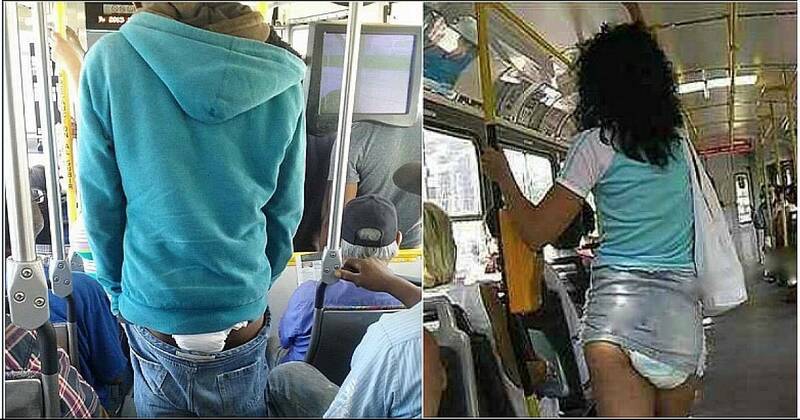 Check out these cool hacks. #1 Do you hate spam mail as much as I do? Try out this hack the next time you receive unwanted offers in the mail. This should get the point across that you are not interested for a little while at least. #2 The best beach hack ever. 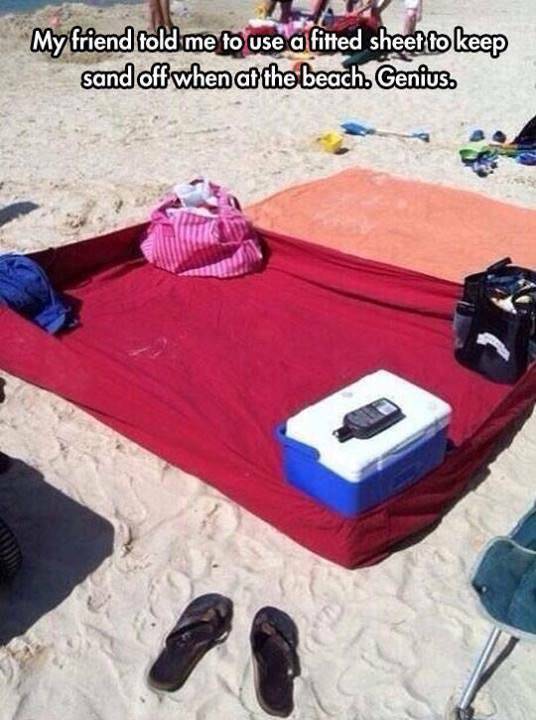 If you want to keep your beach area free of sand try this nifty fitted sheet hack. It makes a huge difference. #3 How old is the bread you buy? Did you know that bread is color coded? 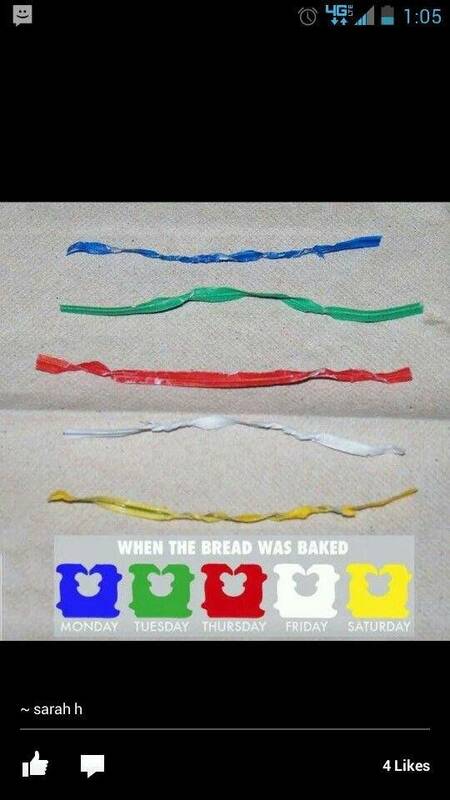 The twist ties that keep the bag closed also tell you what day the bread was made. Good information to have on hand. #4 Want to see things much clearer? With this hack, you can use your smart phone to see the tiniest things. All you need is a laser pointer a bobby pin and some tape. Amazing. #5 This will help keep you warm in the winter. If you don't have money for a heater or you don't have a kerosene heater in case of a power outage, never fear. 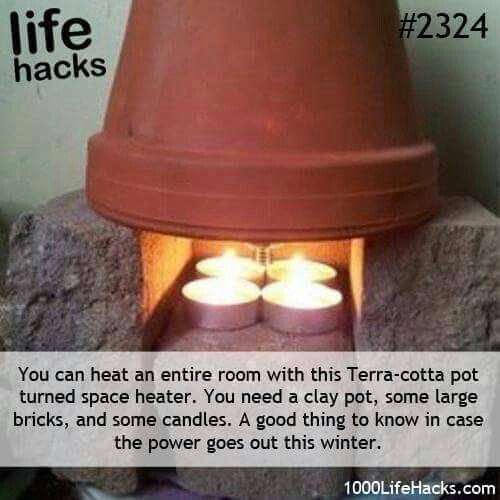 With a few tea candles, a clay flower pot and a few bricks you can provide yourself with safe and efficient heat to get you through the night. #6 This is good to know in case you don't have a band-aid available. 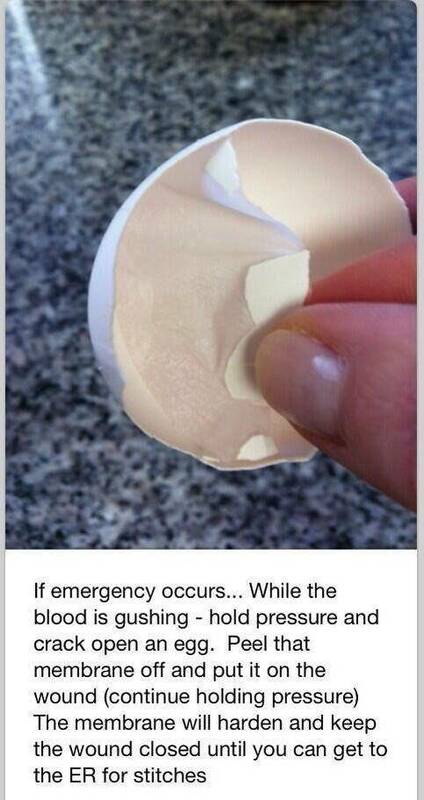 The membrane inside of an egg makes for a great temporary wound seal in case of an emergency. Just hold it tight to the cut and it will keep the wound closed long enough for you to get it treated. Here are a few more hacks to help you out. This video features even more awesome hacks that you might find useful. Facts About Famous People That You Probably Never Knew.